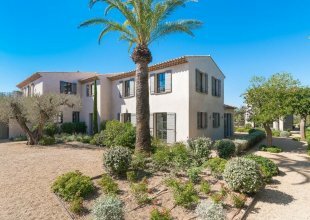 The charming Villa Alexandra, set in over 4,000 m2 of pristine grounds is located in Saint Tropez, just a five-minute drive to the glorious beaches and beach clubs of Pampelonne. Villa Alexandra's vast and indulgent interior includes a large, double living room, large dining room with seating for 12 guests, various shaded chillout areas and sundecks, two fully equipped kitchens and six beautifully presented luxury en suite bedrooms. The luxurious décor, high-end fixtures and fittings along with the high-tech multimedia in each room makes for a wonderfully relaxing holiday where children and adults are sure to be entertained. The beautiful, uninterrupted views over Saint Tropez and the bay of Pampelonne and the large picture windows allow for incredible natural lighting. Finishing touches of the highest quality make this villa a truly remarkable structure and the perfect base for an extraordinary and memorable holiday. While guests are out exploring the wonders of Saint Tropez and the fabulous beaches, their private Michelin trained chef, villa host and concierge team will be working in the background to ensure the trip runs effortlessly with mouth-watering food and drink always on hand. The prices include full catering service consisting breakfast, al-fresco lunches and evening meals on 6 days per week, professional staff, and open bar.